WINNERS PRESENTATION: Warren Gooley with Mick Brennan, Richard Lee and Steve Brennan. A BIG police presence in Tea Gardens recently for the annual NSW Police Bowling Club Two Bowl Triples Tournament. The event, held at the Tea Gardens Country Club, attracted more than 80 bowlers, both serving and retired police officers. 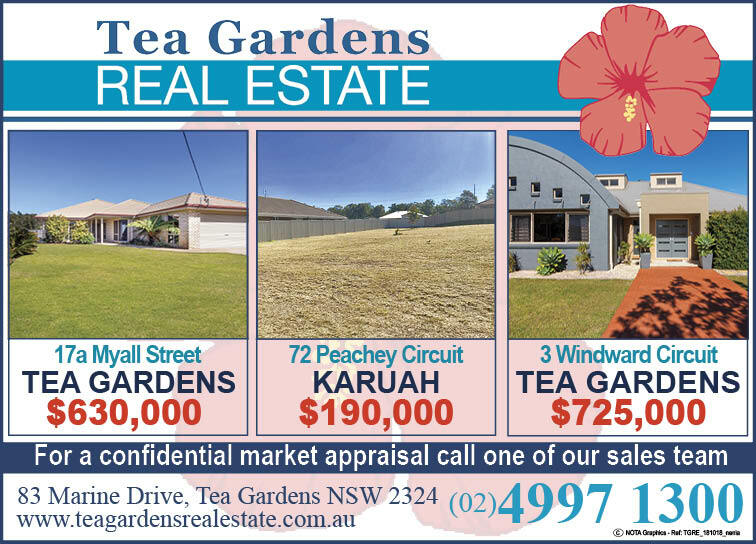 They came from as far away as Wollongong, south of Sydney and Dubbo to the west, vying for the big prize money on offer and a great weekend of shared camaraderie. “Despite a delayed start due to rain on Saturday morning organisers still managed to fit in the scheduled 3 games play on Saturday and 2 games Sunday morning under windy and cool yet predominately dry conditions.” Warren said. “Considering the amount of rain received here in the 2 days before the competition the greenkeeper did a fantastic job with the greens, they ran true and unexpectedly quickly for the conditions,” he said. 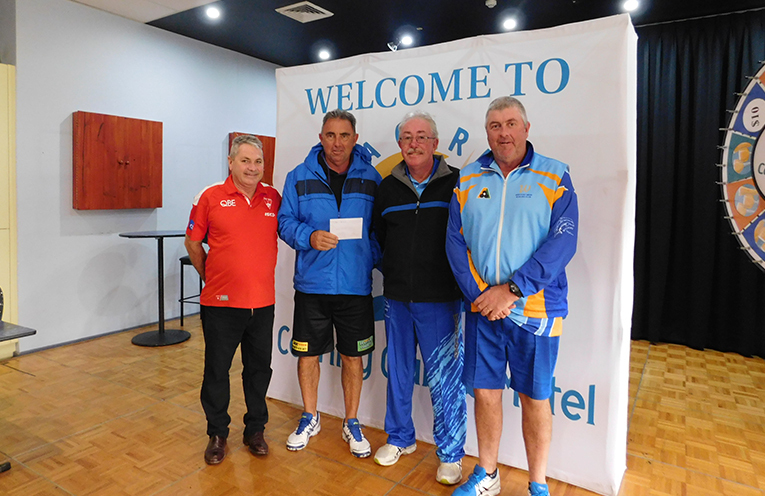 Winners for the weekend were Port Macquarie bowlers Mick Brennan and Steve Brennan who teamed up with local bowler Richard Lee to prove a formidable force over both days. Club General Manager Warren Gooley presented the prize money at the conclusion of the Tournament and thanked long term sponsor Kim Burton of Maitland and Port Stephens Toyota.